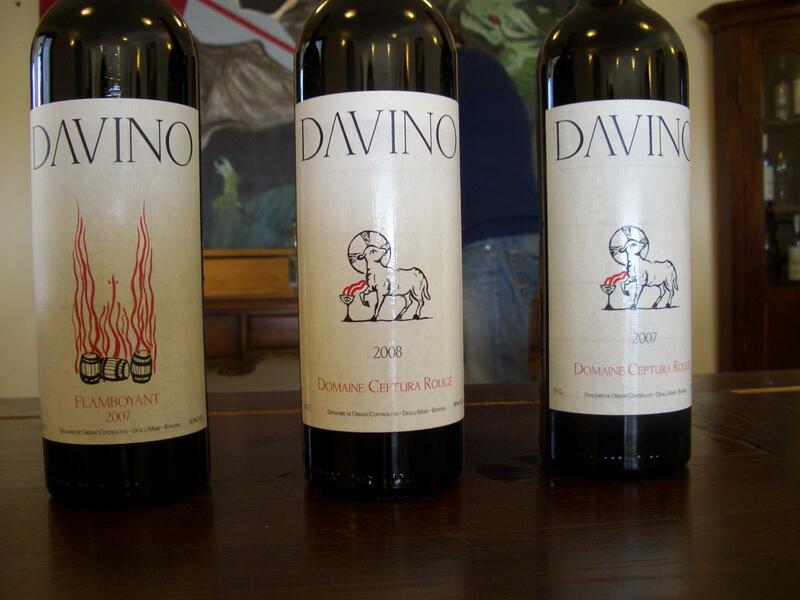 Davino is one the first Romanian wineries that made an important move a few years ago and started to sell their wines only through the HORECA network. 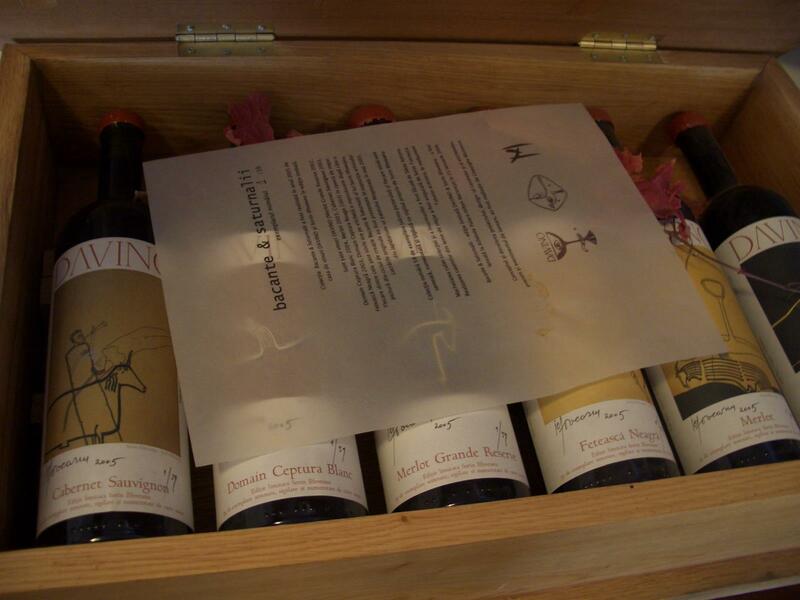 Therefore, the end consumer is able to find its premium wines only in selected restaurants and specialized wine shops. Davino is like a closed fortress when it comes to visits: very few people – only the important clients and seldom wine press related persons – manage to get the chance to visit the winery. The reason for this, as explained by Mr Dan Balaban – Davino’s main owner – is the fact that all visits are conducted either by Mr Bogdan Costachescu – the winemaker and also an associate, either by Mr Balaban himself, therefore the time reserved for visits is very limited. The acquisition of two old lordly houses in the area creates the premises for this situation to change in the near future, once the properties are renovated. I managed to visit Davino’s winery at their present location on Dec 10 together with Nicusor Cazan. Initially scheduled to be hosted only by the winemaker Mr Costachescu, we were shortly joined by Mr Balaban during our visit. The property was started in late ’90s, the first wine released as Davino was the 2000 vintage and now owns about 50 ha of vineyards in Dealu Mare. Mr Costachescu joyfully explained that he was about to permanently leave for Canada when he was approached by Mr Balaban with the plan to build the winery together. During the first couple of years since inception, they were buying grapes from different private growers in the area to make the wine, a situation that changed dramatically with their new acquisitions of land and plantations of selected clones over the last years. They still have contracts with a small number of growers from the area that have to follow their instructions during the year in order to maintain a quality level for the grapes they buy. In the winery, they use strictly new Romanian oak barrels: for whites Romanian oak from the North, as it tends to give more pronounced oaky flavors, and for the reds oak from the South, as it tends to be more discreet. It’s only recently that they produced a barrel aged white wine (2009 Davino Reserva alb – blend of Sauvignon Blanc and Italian Riesling aged for 6 months in new Romanian oak barrels), most of their whites are fermented and aged in stainless steel tanks. 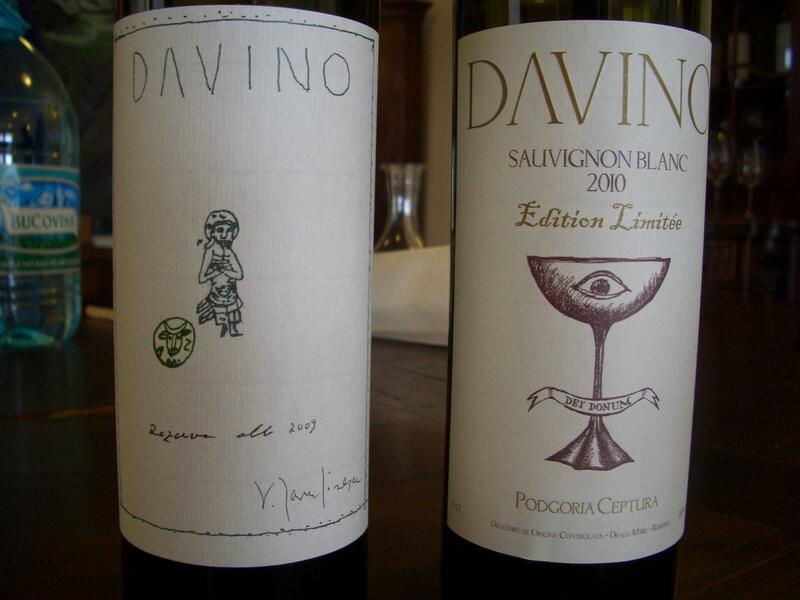 The top whites produced by Davino are Domaine Ceptura Blanc(Sauv Blanc/Feteasca Alba/Italian Riesling), Sauvignon Blanc Edition Limitee, Alba Valahica(100% Feteasca Alba), Revelatio(Sauvignon Blanc/Feteasca Alba) and the barrel aged Davino Reserva alb. The reds are aged for 6 to 8 months in new oak barrels and then aged for another 2 years in bottle prior to their release. The top reds produced are Domaine Ceptura Rouge – a predominantly Feteasca Neagra blend with Cabernet Sauvignon and Merlot, Purpura Valahica (100% Feteasca Neagra) and their flagship wine Flamboyant, a blend of predominantly Cabernet Sauvignon with Feteasca Neagra and Merlot. They also started recently to produce a red Davino Rezerva in a more concentrated style. There is a rose wine made under the Domaine Ceptura Rose label, usually a blend of Cabernet Sauvignon, Feteasca Neagra and Merlot. As an example for the commitment for quality, Mr Costachescu mentioned that they use five different clones of Cabernet Sauvignon planted on different regions in Dealu Mare from which they select the best result for the top wines. The yields are usually fairly low for all of the wines in the Domaine Ceptura category: 10-15 hl/ha for the whites and 14-18 hl/ha for the reds. Most of the wines have powerful visuals on their labels and can be easily distinguished from any lineup. 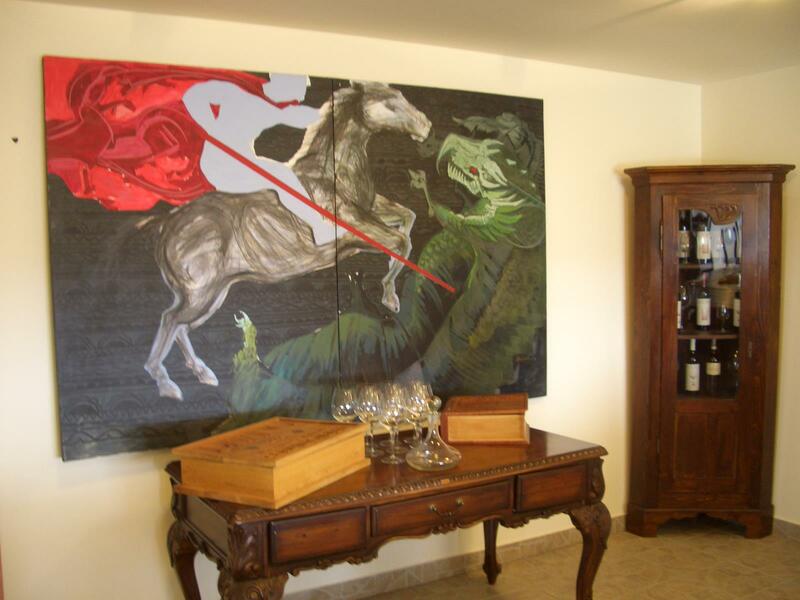 Mr Balaban, an important art lover and collector, had numerous collaborations with prestigious Romanian painters for many of his limited released wines. During the visit in the winery, I got to taste several of their 2011 whites from tanks and barrels. I tasted two 2011 Sauvignon Blanc’s that will most likely be blended to make the Edition Limitee cuvee and the wines are already extremely promising – especially a SB from 25-30 years old vines that pleasantly surprised me with its intense aromas and concentration on the palate. I also tasted the wines that will make up the Davino Rezerva alb: a Sauvignon Blanc that was already in barrel for 1 month and an Italian Rielsing that was in barrel for a shorter time. Even the Sauvignon Blanc that comes from very young vines and makes the cheaper Ceptura category shows a good potential. Something that was very clearly stated by Mr Balaban is the improvement that can and will be seen each vintage in all of their wines due to increased maturity of the vines capable of producing better fruit every new year. The consumer experiences better wines now than any of the last vintages. It is important to mention that in 2008 there was no Flamboyant produced, all the fruit went into the Domaine Ceptura rouge, therefore an even higher step in quality was made for this wine. 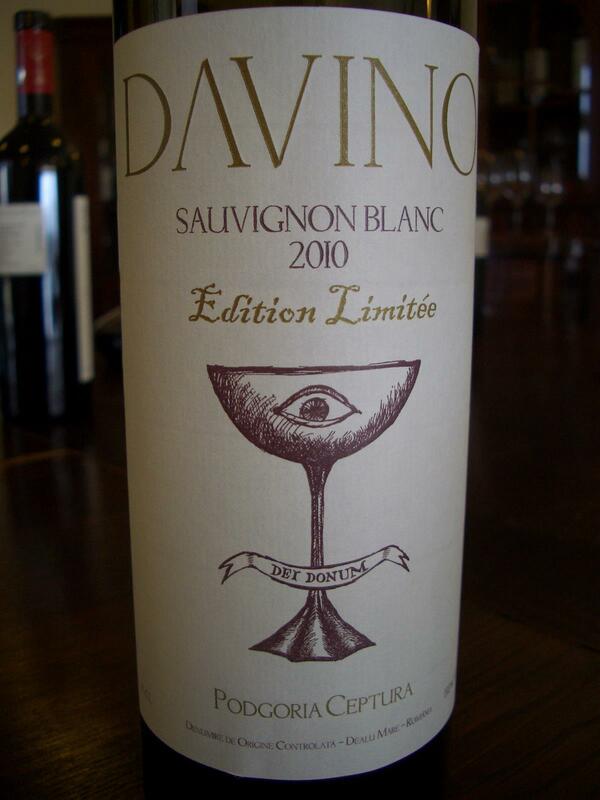 – 2010 Davino Sauvignon Blanc Edition Limitee is my favorite of their un-oaked whites. There is a level of concentration on the palate rarely seen in any other Romanian Sauvignon Blanc based white wines. Pale yellow-green color, the smoky aroma is really pronounced and steals the show on the nose. Other aromas remind of grapefruit, citric fruit and green herbs. Crisp and lively palate with a medium fresh finish. Yields of 13 hl/ha. – 2009 Rezerva Alb shows a racy oak flavor and, perhaps not that intense, but it certainly reminds of a white Pessac Leognan. The wine has good richness of citric and stone fruit, green leaves, spice and oak flavors. A more complex wine than the Edition Limitee. – Domaine Ceptura Rouge 2008 has a dark red-purple color. Youthful and developed on the nose, the wine shows a spicy Feteasca Neagra character mixed with aromas of green peppercorn, dark chocolate, fresh red and blue fruits and smoked plums that remind of bacon. Medium plus bodied, the wine is very drinkable already showing good freshness and assertive tannins on the finish. Yields of 17,8 hl/ha. – Domaine Ceptura Rouge 2007 has a red garnet color. The nose is more evolved and already showing secondary aromas. Leather, herbs and fresh fruits make a very interesting bouquet. I did like the nose more in this 2007 than the 2008. However the wine is less intense in the mouth, with more mellow tannins and a shorter finish than its younger brother. – Flamboyant 2007 has a dark red-purple color and a great typical Cabernet Sauvignon character. Rich and well developed on the nose, showing also a light fruity sweetness, and aromas of green peppercorn, coffee, black currant and spices. Fuller mouth-feel than any of the two Domaine Ceptura Rouge tasted, powerful while preserving good freshness, round, it feels a bit closed on the palate at this stage. Medium plus finish with assertive tannins and it needs some more time. Decanting is advisable. Yields of 14,5 hl/ha. Based on the conversations with Mr Balaban and Mr Costachescu, one cannot neglect the passion that breathes from these two men when it comes down to their work. As much as the terroir is a key important part of making wine, there is also continuous research and development at this winery using state of the art technology for getting the best from the fruit harvested every year.